Though a death report from the coroner is awaited, a CINTAA official said the actor had died of a heart attack three days ago at his residence. 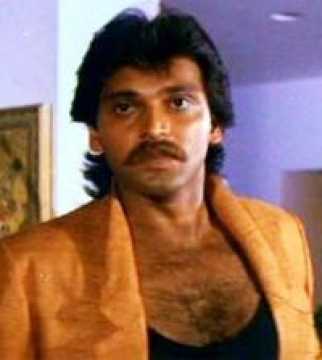 Veteran actor Mahesh Anand, who played the villain's henchman in several blockbusters in the late 1980s and 1990s, was founded dead at his Yari Road residence in Mumbai today. He was 57. Mahesh Anand’s body was taken to the Cooper hospital at Vile Parle. An official from the hospital’s casualty department confirmed that Anand’s body was brought to the hospital but refused to share details. According to a member of the Cine and Television Artistes Association (CINTAA), Anand is believed to have died at his Versova residence after suffering a heart attack three days ago. Anand had been living alone for the past 18 years. Mahesh Anand had had a troubled personal life. His first wife was producer Barkha Roy, sister of the actress Reena Roy. Later, he married Miss India International (1987) Erika Maria D'Sousa from whom he has a son named Trishul Anand, who now goes by the name of Anthony Vohra. Thereafter he married actress Madhu Malhotra in 1992. In 2000, he married actress Usha Bachani, but the couple split two years later. Since then, he had been living alone. His film career also hit a dead-end. 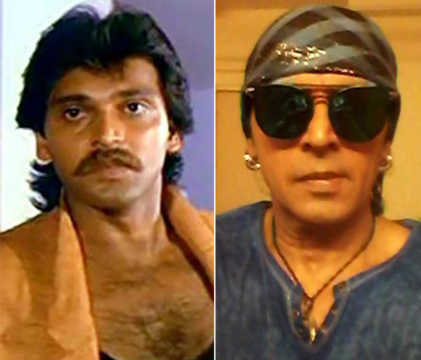 Mahesh Anand played the villain's henchman in several films like Gangaa Jamunaa Sarawathi (1988), Shahenshah (1988), Thanedaar (1990), Vishwatma (1992), Coolie No 1 (1995), Vishwasghaat (1996), Lal Baadshah (1999), Baaghi (2000), Kurukshetra (2000) and Aaj Ka Gunda Raaj (2006). Mahesh Anand began his career as a dancer in the film Sanam Teri Kasam (1982), produced by Barkha Roy and starring Reena Roy and Kamal Haasan. He began playing supporting roles with Karishmaa (1984). The actor endured a tough last two decades both professionally and personally. He recently returned to work when Pahlaj Nihalani cast him in his film Rangeela Raja (2019). In an exclusive interview with Cinestaan.com in October last year, he had revealed that with no work in films, he had been taking part in wrestling matches with the stage name 'Lion Gypsy Man' for survival. Anand was thankful to Pahlaj Nihalani for giving him a short six-minute role in his film. “Suddenly yesterday I got a message on WhatsApp [from Nihalani] saying, ‘Call me.’ I called up and Pahlajji said, ‘Beta, kittne baje aaoge office [Son, when can you come to my office]?' I didn’t even have money for the autorickshaw fare. I have been going through a very bad financial crisis. I am being very honest about it.,” the actor had told Cinestaan.com.